If you live in an area where it gets cold, you have some extra pre-winter prep work to do. A burst pipe, especially in the middle of winter, can wreak extensive damage on your house. When a point in your water pipes freezes, an ice blockage is formed. Contrary to common belief, a pipe does not burst at the point that freezes but somewhere in between the ice blockage and the faucet or appliance that uses water. A pipe bursts when pressure accumulates because the water cannot flow past the ice blockage. When this happens, the pressure has nowhere to go but through the walls of the pipe. Winterizing your pipes and plumbing means that you are taking steps to prevent freezing and the consequential buildup of pressure that leads to burst pipes. When you give your pipes some love before winter sets in, you can avoid damage and save money on repair costs. Let the faucet drip – When the temperature is expected to reach the freezing point, turn on the faucets that run outside the house to allow a small, steady drip. This prevents the pressure build up inside the pipes, and even if there is an ice blockage, water will still be able to flow slowly. Insulate your pipes – Installing insulation on your pipes will be your first line of defense against freezing. Pipe insulation is crucial for the pipes that are located in the unheated areas of the house and the yard. To insulate your pipes, first, measure their diameter and then buy the pipe insulation that fits your pipe sizes. Follow the manufacturer’s instructions on how to install the insulation. Cover your crawl space – Some types of houses (ex: pier and beam) have a small crawl space underneath the house that helps with ventilation. 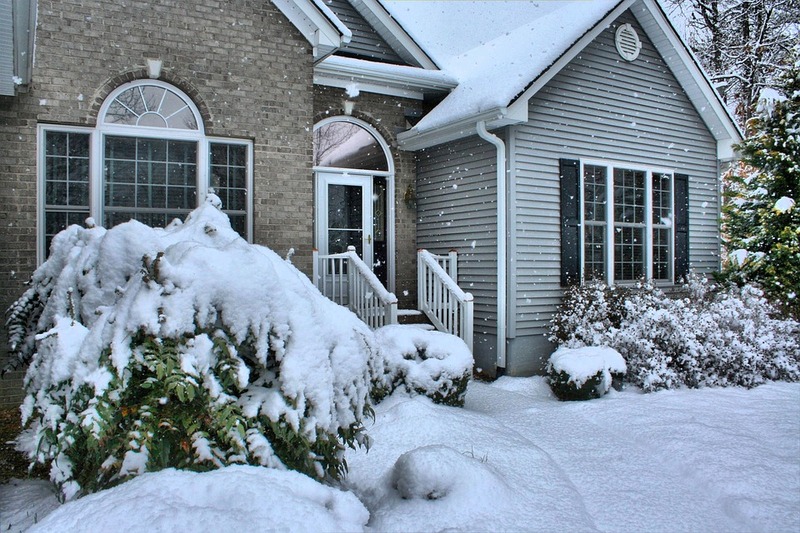 If this is the case for your home, you will need to do a little extra preparation to prevent freezing. If left unattended, cold air could rush into your crawl space and freeze the pipes. By covering the entrance and the vents to the crawl space, you are preventing the entry of frigid air. Add heat to your pipes – Pipes inside cabinets and that run along exterior walls of your home are more prone to freezing. Warm up those pipes by keeping your cabinets open to let the warm air get inside and prevent the pipes from freezing. Insulate your home – Insulating your home and making sure that all cracks have been sealed will keep the temperature inside the house warmer. It will also prevent the pipes that run through the house from freezing. You can use spray foam insulation to help get those hard-to-fill spaces sealed up for the winter. With a little extra preparation, you can prevent some potentially destructive wintertime situations. If you live in an area where winter temperatures rest at 20 degrees Fahrenheit or below, start now by taking steps to prevent your pipes from freezing during the long days of winter. It is almost guaranteed to save you time, money, and a headache in the long run.